Reflections on running a West Marches campaign and insights on D&D 5th Edition. A recent reflective epiphany. From the heart. As a player, I like Pathfinder more than I like 5th edition. There, I said it. After listening to Cannon Fodder episode 51 on the Glass Cannon Podcast and having a discussion with my GM after our semimonthly Pathfinder game it dawned on me to speak about the "meta" game of tabletop rpgs. Hopefully I will be able to write blog posts on a semimonthly schedule from here on out. To be consistent and still have time leftover. Below I'll discuss what meta-gaming is practically in tabletop roleplaying games, and the "meta" of the meta game is for me personally. The map that was found inside a partially burnt book in Wave Echo Cave. 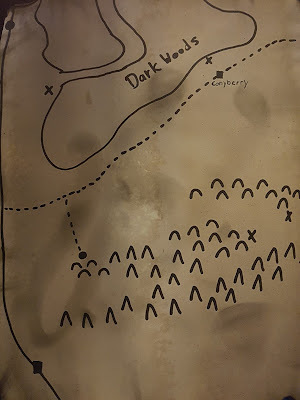 This "map" is placed in the adventure to take players beyond the start set adventure The Lost Mine of Phandelver.I used it to hook in the new players for the West Marches Campaign. The 'X's on the map were points of interest for them to explore with rumours associated with them. This was a fun approach where the players were really left not knowing what was out there. My intention was for them to explore, make notes, and mark on the map where they find things. Afterwards, the next group could build upon that information as is the style of the West Marches. I'm a big proponent for running session 0 for campaigns. 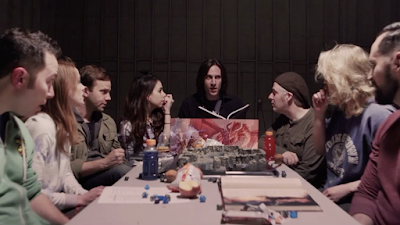 When I had initially started playing and running D&D I always wanted to pack in as much action into a session as possible, to squeeze out the most fun and excitement. Without the foundation well set however, the campaign can crumble for any number of reasons. 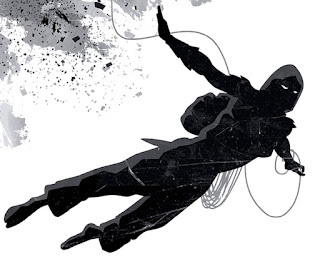 A session 0 is a gathering of all participants of a campaign where the goal is to talk about what the campaign is going to be about, do some world-building, and most importantly character creation. My primary praise for session 0 is the ability for players to get the chance to understand what world they will be playing in. Will they be sailing the high seas as pirates? 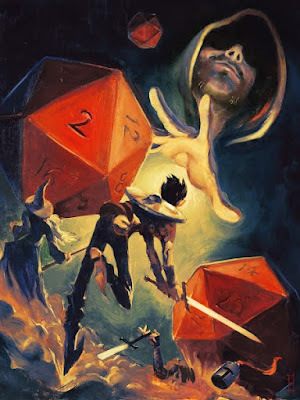 Scouring forgotten dungeons and delving deep into the underdark? 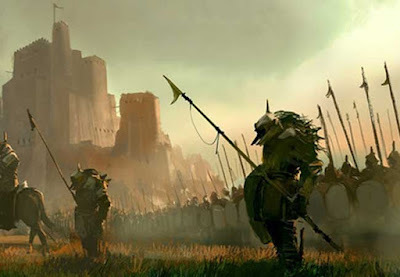 Fighting battles on the open plains for their kingdom? Trekking deep into the mountains to confront the giants in their stronghold? Just like how the game is run, we're going to jump right into the score with our first obstacle in many TTRPGS, character creation. Character creation is fluid and organic. Each choice informs the next and it is all grounded within the setting. It is an 8 step process that begins by choosing a playbook or your character's "class". 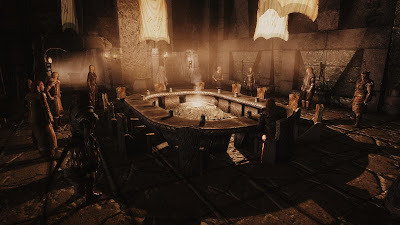 In Blades, player's take on the role ofdiverse scoundrels; or rogues in the typical fantasy setting. So rogue players rejoice, this game is for you, though a lot of players can get enjoyment out of it. Blades does not exist in your typical fantasy setting however. Next you choose your heritage, a detail of where you're from, and your background, with a note of what you did before joining your crew and becoming a scoundrel. The deep and rhythmic thump, thump, thump, wakes you from your light sleep. A dark, low horn blasts somewhere in the distant night. Suddenly, a massive boulder smashes into your home, taking down a large section of the wall and roof. Stunned, you see and hear more boulders crash against other homes and the walls of the town. Trumpet horns bleat in alarm throughout the town. The horde has finally arrived. The battle for the Vale begins. I may have been too ambitious with the time available. What I intended to happen in this session was to have the players accomplish a set number of tasks in the defence of their "hometown" and looking back, there are some things I would change for the future. I personally have not run something of this nature before so I am giving myself that at least. Here is a copy of my outline for the 3 finale sessions. The orange are player encounters, the grey is a choice of where to send NPCs for support, the yellow is another player encounter, and the final red block will be the finale session, a massive 10 player combat and epilogue of season 1.